The printing industry today is based on long-term relationships rather than one-off products. Clients that just print a few simple items aren't necessarily on the hook to be your customers over time, as any new print service provider they jump to could provide the same kind of service. Instead of these one-time jobs, you can strike up deep connections based on taking a data-driven approach to suiting clients' needs – becoming a valued partner rather than just a provider of one-off print products. To create those lasting, trust-based connections, your sales department has to snap into action. If this is your role, it's up to you to bring in excellent leads on a consistent basis, ones that can pay off over months and years. This means knowing plenty about your potential clients before, during and after the deal is struck, and providing levels of service they can't get from just anyone. This is a tough but rewarding approach. 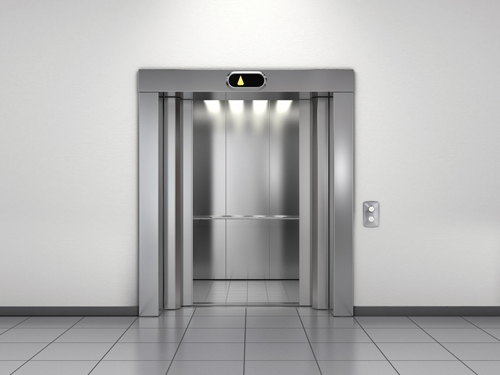 Is your elevator pitch hurting you? When it comes to elements of a sales approach, the so-called elevator pitch is a common building block. This is the intro of who you are and what your company does, delivered in the time it takes a hypothetical elevator to reach its destination. You should construct such a capsule summary of your business carefully, as Printing Impressions contributor Matthew Parker recently pointed out – there's a chance your elevator pitch is selling your company short. What happens when you cut your pitch down to its minimal elements? What's left? If the answer is a list of hardware and a promise of low prices, you may be on the wrong track. Parker pointed out that when you define your organization by its type of presses, history in the industry and pricing structure, you're likely making it sound similar to a huge swath of other printing business competitors. Becoming just another face in the crowd is not something you want to do – a unique hook is necessary to strike up a long-lasting client relationship. So what should your pitch contain? According to Parker, it's better to have a few different elevator pitches, each aimed at a different industry. That way, you can focus your capsule summaries on pain points and common challenges faced by those types of potential clients. Chances are, your print offerings are especially suited to a few particular kinds of organizations. It's time to develop a compelling pitch for each of those varieties. Put yourself in the shoes of the person being pitched to. When you hear relevant information about your industry, and the issues you're really experiencing, that's the kind of moment that will make you take notice. Hearing about just another print company might cause you to file the information away for later. Learning about potential solutions for your top problems, on the other hand, is a sign to take action right away. The quality of your pitches is just one of many elements of your sales performance that you can tune up over time to ensure you're at the top of your game. Another Printing Impressions columnist, Frank Costantino, recently underlined the role these self-checkups play in sales. He explained that salespeople can become more effective in their day-to-day roles if they adopt a professional athlete's mindset regarding improvement. This means being unafraid to study your own performance and consider improvement. Honest and self-respecting reflection of the kind Costantino is recommending applies to several different elements of everyday sales performance. For instance, you can check up on every part of your client acquisition process, from the selection of who to target next all the way to the calls that will make or break your progress with certain prospects. Failures aren't something to shun or look away from – you have to learn from these near-misses to inform your next moves. Tuning every element of your sales pitches to make them more exciting for potential clients is a great practice for any salesperson to adopt. In the printing industry, where well-prepared and pain-point-focused pitches may break through while less distinctive approaches make your firm seem unmemorable, there are very specific elements of your performance that you can adjust. Your job is to make your particular print service provider stand out, no matter how much or little time you're given.